International child abduction is one of the most emotionally charged and fascinating areas of family law practice. The 1980 Hague Convention on the Civil Aspects of International Child Abduction was the response of the international community to the increase in the phenomenon of parental child abduction. However, behind the widely acclaimed success of this Convention - which has now been ratified by more than 90 states - lie personal tragedies, academic controversy and diplomatic tensions. The continuing steady flow of case-law from the various Member States has resulted in the emergence of different approaches to the interpretation of key concepts in the Convention. In addition, over the years other global and regional legal instruments and the recommendations of the Special Commissions have had an impact on the implementation of the Convention. 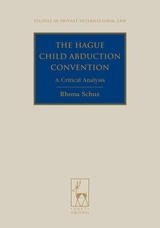 This book brings together all these strands and provides an up-to-date, clear and highly readable discussion of the international operation of the Abduction Convention together with in-depth critical academic analysis in light of the objectives of the Convention and other relevant legal norms, such as the 1989 UN Convention on the Rights of the Child. Throughout the book, examples are brought from case law in many jurisdictions and reference is made to relevant legal and social science literature and empirical research. 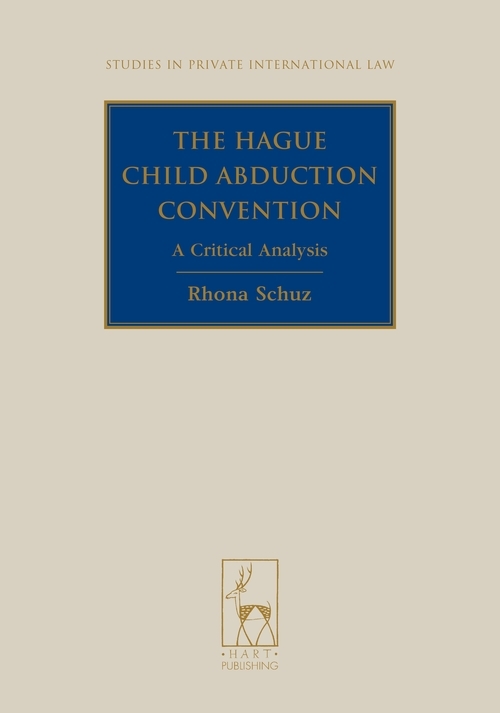 This book will be essential reading for judges, practitioners, researchers, students, policy-makers and others who are seeking a critical and informed analysis of the latest developments in international abduction law and practice. II To What Extent is Compensation Appropriate? “…this monograph is truly unique in the breadth of its overview of the Convention, the treaty's operation and evolving context, and the depth of its investigation of the way in which the Convention has been interpreted and applied by courts around the world. It is a book that no one seriously interested in international child abduction can ignore and is a must for lawyers, whether they are practitioners, judges, scholars or students. Given its broad coverage, interdisciplinary methodology, and clarity, it will also be valuable for non-lawyers, be they policy makers, Central Authority staff, social workers, or psychologists involved in child abduction cases.